Home > News > Finds > A Stitch in Time! 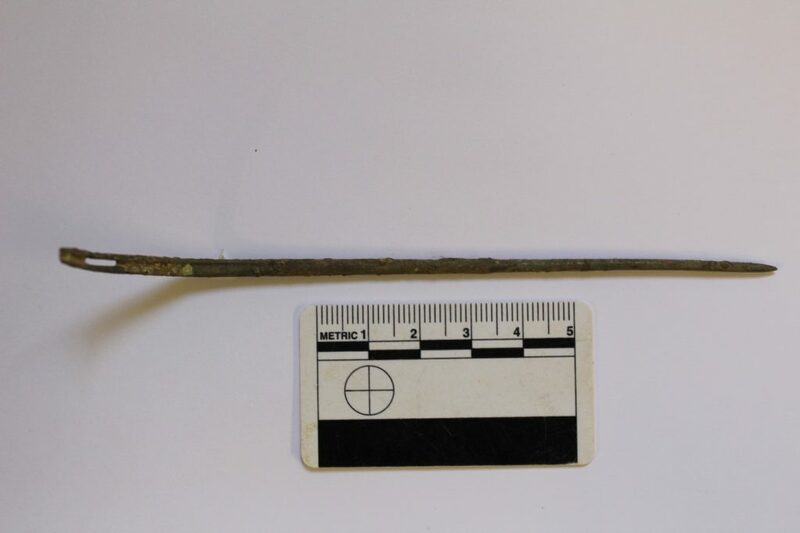 Our Milton Keynes Team have unearthed a Romano-British Copper Alloy Needle. Measuring 131mm long by 3.7 mm wide, this slightly bent needle has a small amount of polished surface visible around the eye but this may be due to use rather than intentional decoration. Such needles were primarily used to sew coarse cloth although experiments have shown that they can be used for finer work despite the size of the head. The groove was designed to hold the thread, reducing the profile and hence causing less damage to the cloth.